We offer a full range of parking lot maintenance, repair, and improvement services. With our expertise, experience, and equipment, we can help ensure that your valuable parking lot assets provide many years of positive return-on-investment. Take a look below at a summary of the types of services we offer. If you have a particular problem or service need that you don't see on this page, just give us a call or fill out a contact form with a brief description. More than likely, we can take care of it too! 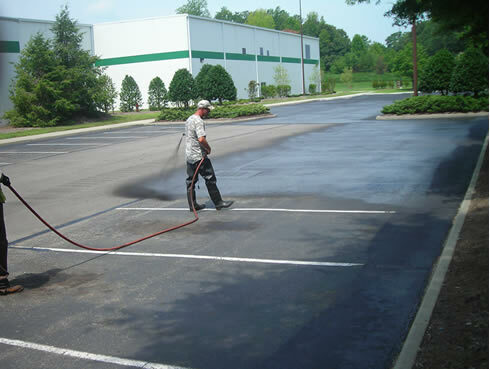 Protect you investment by extending the life of your parking lot with sealcoating! Our high-tech equipment and materials can meet all your painting and striping needs. 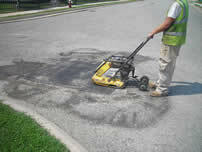 Patching potholes and repairing paving around utilities helps keep your lot in good condition. 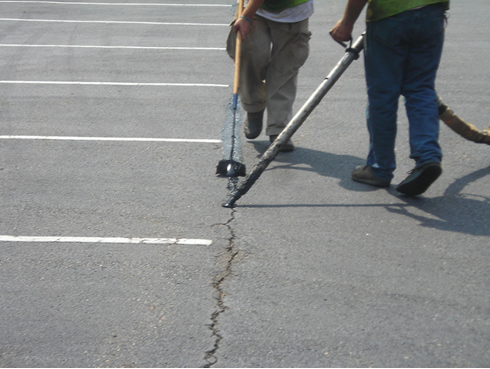 We can stop those cracks in their tracks to prevent rapid deterioration of asphalt paving. 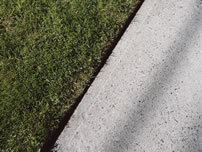 From sidewalks and curbs to ramps and storm drainage, we have the solutions for you. Our high-tech application of durable thermoplastic road markings dries fast, getting traffic flowing again quickly. 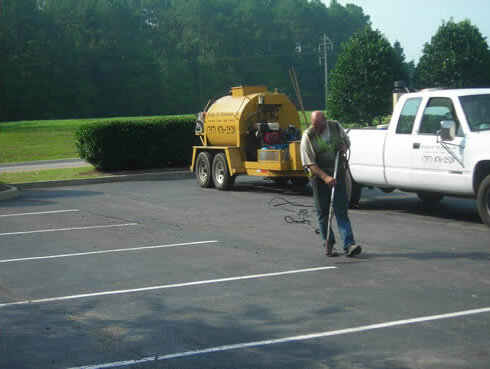 As a full-service provider we offer many additional services and products to fulfill a wide range of parking lot needs. 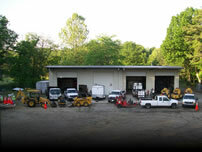 We have the equipment and facilities to handle maintenance and repair or replacement jobs of any size and complexity. Routine Asphalt Maintenance is key to maintaining pavement flexibility. 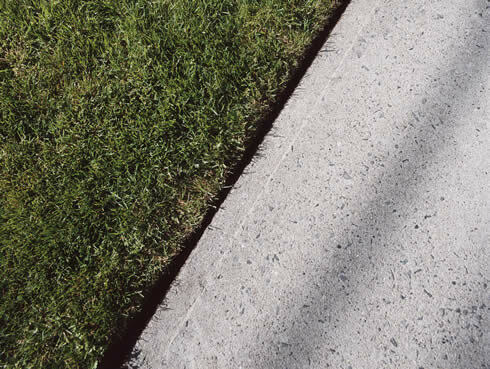 This is important so that asphalt can look great and maintain its original condition. Oxidation under UV Radiation and exposure to petroleum products are the primary causes of asphalt losing its flexibility. Sealcoating provides an effective banner from these harmful external elements. Parking Lot Maintenance uses a commercial grade high-traffic latex paint. The paint is applied by using the latest in high-tech striping machines. 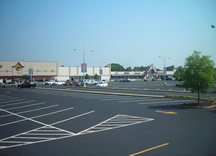 We have the ability to stripe parking lots of any size, from small convenience stores to large retail shopping centers. Parking Lot Maintenance also provides the striping/painting of parking stalls, directional arrows, stop bars and fire lanes. Parking Lot Maintenance, Inc. offers all types of asphalt repair and replacement solutions, including simple pothole repair, utility repair support and reconstruction. 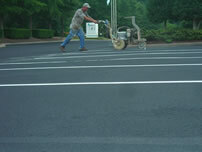 Parking Lot Maintenance, Inc. uses a commercial grade hot-pour cracksealer to treat all mainline cracks. Effective cracksealing can reduce the onset of further deterioration by 80%. Parking Lot Maintenance, Inc. offers a wide range of concrete repairs and replacements. Whether commercial or industrial facilities, Parking Lot Maintenance, Inc. handles curb and gutter removal, concrete replacement, sidewalk repairs and standard flat work. Parking Lot Maintenance, Inc. also specializes in concrete coatings, joint sealing and caulking. 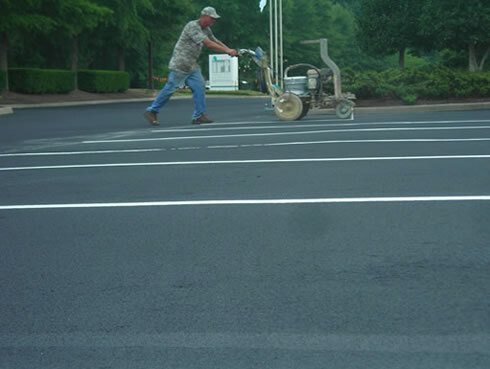 Parking Lot Maintenance has the ability to apply thermoplastic road markings to asphalt and concrete surfaces without the need of a primer. This process is achieved by melting the product to a liquid state that is extended through a preformed dye of desired width and thickness. Glass beads are spread over the lines, giving them a reflective property. Thermoplastic dries quickly, allowing traffic flow almost immediately—unlike paint, which requires additional drying time. 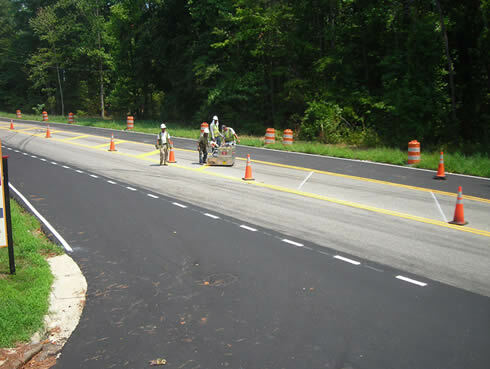 Thermoplastic also is much more durable, providing longer periods between restriping. 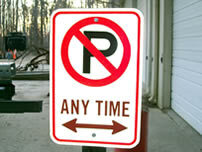 We are also happy to offer the installation of parking lot signs, including handicap parking, stop signs, fire lane signs, loading zone, directional signs and others. Additionally, we offer installation on wheel stops (concrete or synthetic), pipe bollards, bike racks, speed bumps, and much more. As the early morning sun rises over our equipment storage and shop facilities, our crew begins loading supplies and machinery for another busy day providing a full range of asphalt and concrete repair and maintenance services to parking lot owners across Virginia and Eastern North Carolina. From patching the occasional pothole to major reconstruction of large commercial lots, we have the resources!